Wildlife tours Nepal is very popular tourist attraction in Himalayas. Nepal’s forests are inhabitants to some of the most unique and rare animals. The warm subtropical Terai region of Nepal, you can find Royal Bengal tigers, 1 horned rhinos, leopards, wild elephants, sloth bears, monkeys, crocodiles, four kinds of dear and over 250 species of exotic birds. Together with typical hospitality and encountering rare endanger animals in nature are main attractions of the wildlife safari tour. Wildlife tours Nepal is ideal for every holiday travelers those who are seeking diverse experiences and real fun-filled holiday. Gokyo Treks and expedition company offers comprehensive jungle safari package to enjoy your exotic holiday in Nepal. 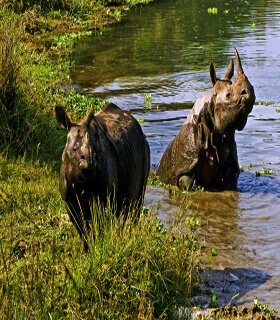 With us, you will have a great chance to explore and see some of the world’s best Wildlife Safari tour destinations which include Chitwan National Park, Koshi Tapu wildlife reserve, and Bardiya National park. 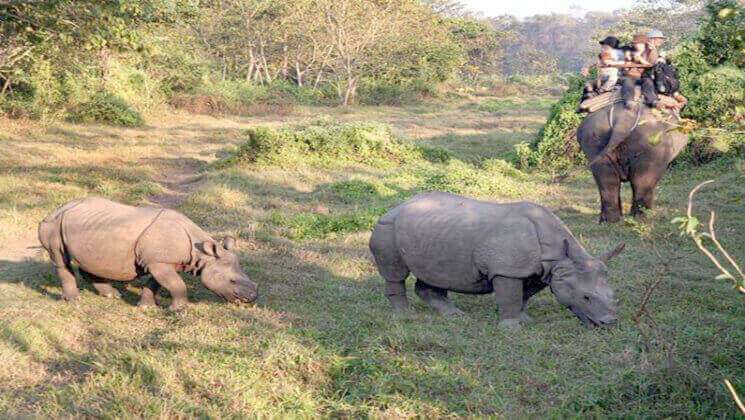 Chitwan National Park is famous to observe Royal Bengal tigers, Rhinoceros and wild elephants. Not only this but also various birds and reptiles are also widely seen in this park. Whereas Koshi Tapu offers the best bird sanctuary in Nepal and Bardiya National Park is the best place to see Tiger and their habitat. Monsoon season in Nepal. So, it is not a good idea to do any safari tours while on Monsoon time because chances to see wildlife is very low. Chitwan wild life safari tours.